Obituary for Frances A. 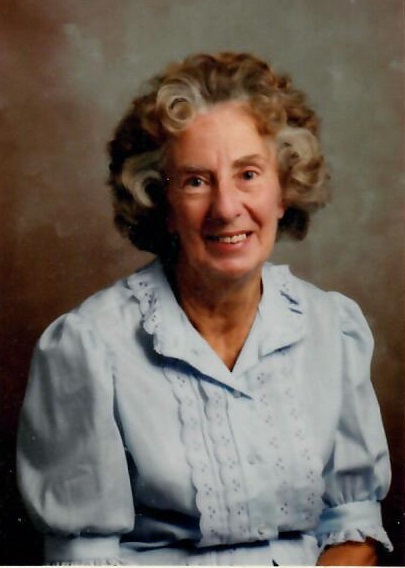 (Wilke) McAleer | Readshaw Funeral Home, Inc.
Frances A. (Wilke) McAleer, age 92, passed to eternal life on Sunday, March 24, 2019 at UPMC McKeesport Hospital. Beloved Mother of Mark G., Daniel F. (Denise) and Mary Ann Linkes. Mother in law to the late David N. Linkes. Survived by 1 Sister, Sylvia (Eugene) Eaborn, Nephews, Great Nephews and Nieces and her beloved beagle "Happy". Daughter of the late Robert and Amelia (Allgeier) Wilke. Frances was a Wife, Mother and Homemaker. In her younger years she worked at Bard's & Isaly's Dairy Stores. Later she worked at Kehren's Bakery & served as a cook at St. Paul's Monastery and at the Pittsburgh Board of Education (Knoxville School) for many years before retiring. She enjoyed going to church and practicing her Catholic Faith; caring for her cats and beagle "Happy", cooking and tending to her yard and flowers. Family and friends received Wednesday from 1-4 PM at the Readshaw Funeral Home, Inc. 1503 Brownsville Road, Carrick. Funeral Prayers Thursday at 10:45 AM followed by a Mass of Christian Burial in the St. Augustine Church, Our Lady of The Angels Parish 225 37th Street (Lawrenceville) Pittsburgh, PA 15201 at 12 Noon. Interment Christ Our Redeemer Cemetery (North Side Catholic) with her beloved parents. In lieu of flowers, memorial donations may be made to St. Augustine Church, Our Lady of The Angels Parish 225 37th Street Pgh Pa, 15201, St. Paul's Monastery 148 Monastery Ave, Pittsburgh, PA 15203 or to the Western PA Humane Society at 1101 Western Ave, Pittsburgh, PA 15203.